Visit the official tour site here! 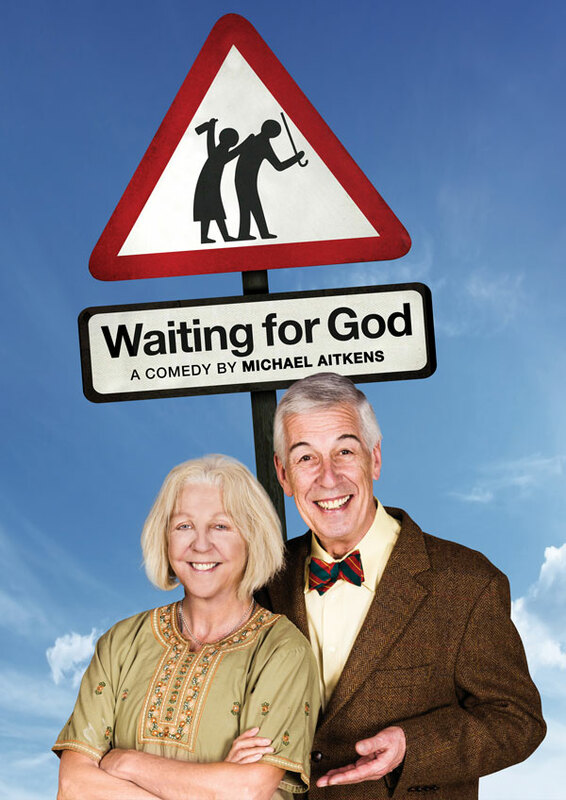 Jeffrey Holland (Hi-de-Hi, You Rang M’Lord) and Nichola McAuliffe (Surgical Spirit, Victoria) star in this premiere stage production of the BAFTA Best Comedy Series nominated Waiting For God, which delighted TV audiences across several BBC series in the 1990s. This all-new script is penned by the sitcom’s creator Michael Aitkens, whose other credits include Midsomer Murders, and directed by Tony Award winner David Grindley (Journey’s End, Sideways). The cast of nine, led by Holland and Olivier Award winner McAuliffe, also includes double Fringe First Award winner and original One Man, Two Guv’nors cast member David Benson. All the favourite characters from the original series are reimagined for 2017, facing the challenges that come with growing old disgracefully in the era of the silver surfer. At Bayview Retirement Village, battle-axe extraordinaire Diana Trent conspires with new resident Tom Ballard to give the conniving manager his comeuppance through a hilarious conspiracy with unexpectedly heart-warming results.